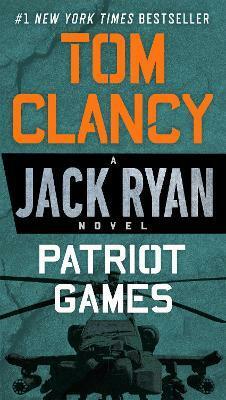 Don't Miss the Original Series Tom Clancy's Jack Ryan Starring John Krasinski! Tom Clancy reveals Jack Ryan's origins in this electrifying #1 New York Times bestselling thriller that pits the former Marine turned family man against a vicious group of international terrorists. As an American in London on vacation with his family, Jack Ryan never imagined his quick thinking would prevent an assassination attempt on Britain's royal family and earn him the gratitude of an entire nation--and the scorn of an ultra-left-wing faction of the IRA. Irish terrorist Sean Miller and his followers in the Ulster Liberation Army intend to make sure Ryan pays for his interference in blood. But he's not the only one they're after... With the lives of his pregnant wife and young daughter in mortal danger, Ryan accepts a role as a CIA analyst in order to find Miller and shut down the ULA. Going head to head with a ruthless terrorist is a fool's errand, but Jack Ryan is the kind of man who will do whatever it takes to protect his family.